A thorough clean of your whole home, recommended for first time and monthly customers. Pricing based on number of bedrooms in your home. End of tenancy cleaning - enabling your landlord/estate agent to return you your deposit. Pricing based on the number of bedrooms in the property. "Had my first 'deep clean' yesterday and I can't rate the work highly enough. A lovely mother and daughter team worked tirelessly and efficiently and managed a top to tail clean of the whole house. Highly recommended!" "We used NowThen Cleaners for a deep clean. Fantastic service. Arrived on time, brought all equipment and supplies, were friendly, quick and great attention to detail. Well worth the money and I would highly recommend to anyone. Our house is sparkling." "Thank you for an excellent job; three very hard working cleaners got our house sorted, despite presence of a new puppy, mature dog and a lot of coming and going. " Finding a cleaning company that provides quality deep and end of tenancy cleaning can be tough. Luckily you are in the right place! We have a strong precedence in deep and end of tenancy cleans and have worked with to name a few individuals, landlords, estate agents, housing companies, apartment block providers. So we have vast experience in knowing how to get the job done right. 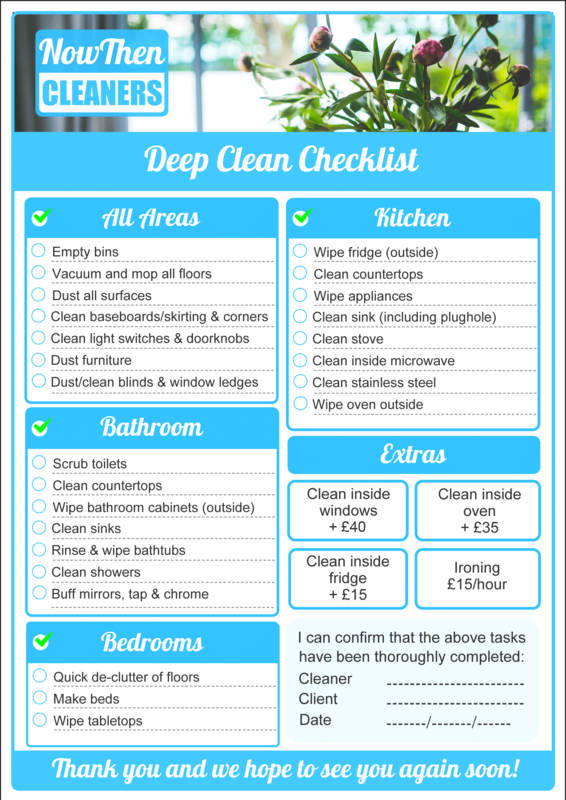 A combination of the right equipment, thorough checklist and trained professionals is our secret to successful deep and end of tenancy cleaning. 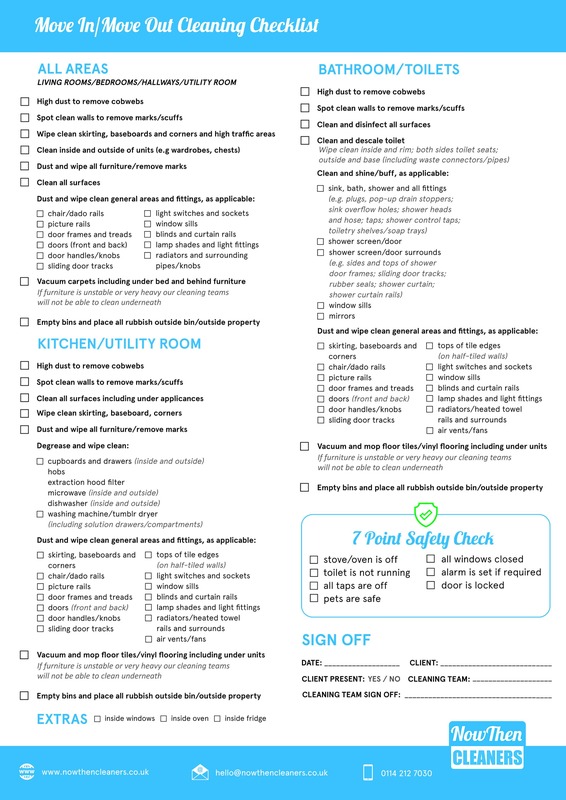 If you are looking to setup a regular clean please visit our house cleaning page. We also offer a broad range of commercial cleaning services, so take a look if your workplace also needs a good clean too!